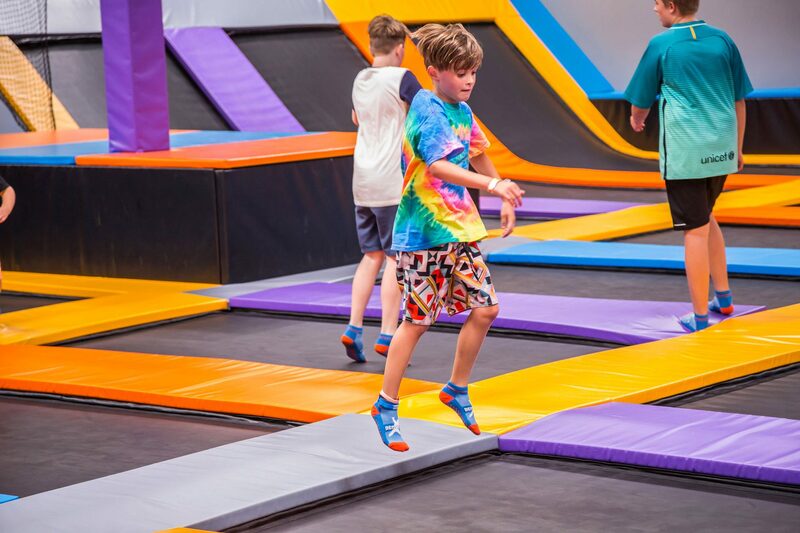 Get yourself or your kids skilled up and blasting off with one of our rebound Rockets trampoline classes. Our Rebound Rockets Coaches are Qualified gymnastics coaches and highly experienced athletes in gymnastics, Trampoline and tumbling. The concept of all Rockets classes is to develop correct, safe trampoline technique and solid fundamentals to further develop skills and creative play. More Specifically you can expect a warm up, form and technique building over a 1 hour class. Age 4 – 8 (for starters). In our starter classes level 1 we start with fundamental movement skills and build on these skills to introduce progression. This is a progression from the starters class or for those that already have some confidence and basic skills on the trampoline. This class will introduce progressive challenges to match their growing skills, and taking safe and measured risk to build confidence on the trampoline. The first level intermediate class will focus on control and technique, progressing to moves that require good control for correct and safe execution including front saults , backflips and combination moves. This class will also introduce wall running fundamentals. This class will focus on technique and skill development , progressing to more advanced moves on the trampolines , wall running and airtrack tumbling. Give the kids some purpose and yourself some downtime this school holidays with Rebound Arena’s School Holiday Programs, Classes run for 2 hours each weekday of the school holidays, a 5 day programs to have fun and learn new skills. We operate beginner and intermediate classes to suit ages 5 and up. Limited spots available so get in early! Our school holidays programs are designed to be a short version of the Rockets programs with a focus on fun and skills development – limited numbers to 8 jumpers per class the progress will take into account the skill level of the class, The classes consist of 1 hour tuition by one of our coaches followed by 1 hour of free practice time with the coach floating around to assist if needed, classes include a free Gatorade at the end of each lesson and complimentary grip socks for the first lesson. Jumpers completing the week course will get a free pass for the first lesson next term and a certificate of achievement. We are teaming up with Erin from EFIT to bring PT Trampolining sessions to Rebound three times a week. Erin is a Personal Trainer with drive and character that will make the most out of every fitness session for you. What a fun way to keep fit and hide from the weather in winter. All of these sessions will be run through EFIT and not Rebound directly so head over to >>> www.e-fitpt.com/reboundclasses to find out more.